As has been Hollywood's wont for too many years now, come January (and February and March) the big-box multiplexes get hit with bombs the studios are just trying to recoup some production costs on. This year it was Black Hat (which took the thrill out of the thriller), Focus (which took the sting out of the con), and Chappie (which took the doom out of dystopia). There was Kingsman: The Secret Service looking like it longed to spawn a franchise, which we can only hope it will not, and the unfortunately titled second installment of the teen trilogy Divergent -- Insurgent, beyond awful in its utter lack of narrative or anything resembling imagination. 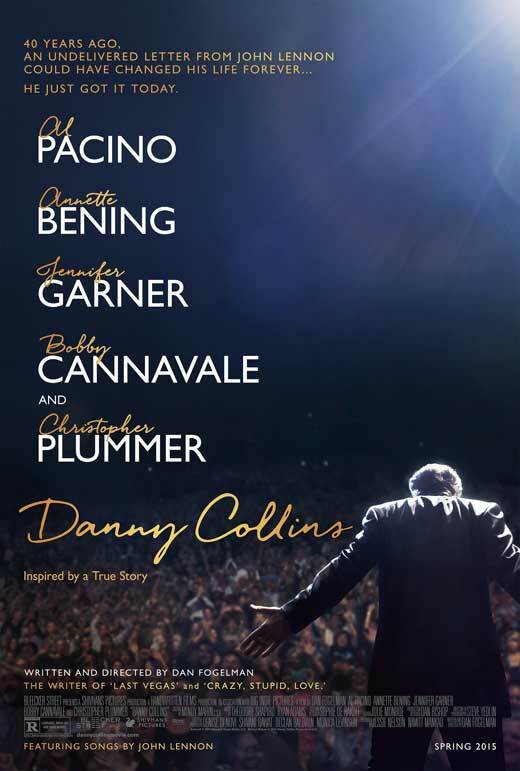 In the BoaTS category, Al Pacino and Annette Bening made the unlikely Danny Collins shine, but even Helen Mirren could not salvage Woman in Gold, which barely limped along. It is a sad state of affairs when it has to be said that Cinderella was the first good movie of the year. Kenneth Branaugh did a lovely job, though I found the stepsisters (Sophie McShera and Holliday Grainger) a bit over the top. Lily James is a perfect embodiment of Ella and Richard Madden suitably handsome. Cate Blanchett gives the Wicked Stepmother psychological depth, and when you say, "Fairy Godmother," it's a given Helena Bonham Carter be cast. Watching the pumpkin and its attendant goose and mice and lizards transform into and out of carriage and driver and footmen was worth the price of admission. On her deathbed Ella's mother tells Ella, "Have courage and be kind," a message Ella repeats to herself whenever tempted otherwise. There are worse lessons to be learned. Recently I found myself at a small gathering among people with whom I was only mildly acquainted or had never met. In small talk (a talent I lack) one of the latter opined, "There just aren't any good movies anymore." I hear this a lot, and it always makes me angry. It has become the default statement people make when the subject of movies comes up in conversation. What's worse, it is said in a tone meant to convey the speaker's acute discernment. I believe people who hold this opinion are part of the movie devolution problem, and my rejoinder to the "no-good-movies-anymore" assertion is to declaim, "Yes, there are. YOU just don't go to them." On the evening in question I checked myself ("Have courage and be kind"), but as Brooks Barnes and Michael Cieply observe in a recent New York Times article, "Hollywood Is Producing Higher Highs, Lower Lows," "For months, American moviegoers have either been going big or staying home." For months, people? For years! I do not live in New York, L.A., or Chicago where movie goers have the chance to see most everything they desire. I live in one of the more populous U.S. cities, but that doesn't translate into much meaningful cultural substance. I am very fortunate that the locally-owned theater chain reserves one venue for films that never make it to national multiplexes, but their audiences are typically small, and, when it comes to foreign films, likely to be very sparse indeed. As a consequence, fewer foreign films are billed each year. If an obscure film becomes an Academy Award contender, I might get to see the contender in January... or February... or March... or maybe not at all in the theater especially, again, if it is a foreign film. That meant I had to wait to see 2014's Inherent Vice, A Most Violent Year, Cake, and Still Alice in the theater until 2015. All four of these films might be characterized as "dark" in one way or another and thus less salable to a mainstream audience. 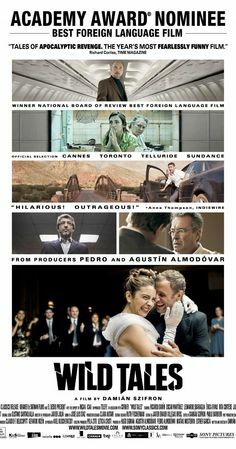 It was an even longer wait for Mr. Turner, Wild Tales, Leviathan, Clouds of Sils Maria, Two Days and One Night, and Mommy. I have a wide-ranging circle of acquaintances -- academics and professional artists and musicians among them -- hardly any of whom went to any of these movies unless they reside in or around New York, L.A. or Chicago. Some go out of their way to travel to see new releases, and some view these films later on DVD or Pay-For-View. Still, some films, like the Roger Ebert documentary Life Itself, despite previews here, never made it into our theaters. Same with documentaries: The Salt of the Earth, Lambert and Stamp, and Dior et Moi were all late comers, and despite the wide range of subjects among them -- Sebastião Salgado's social documentarian photographs, The Who's unwitting managers, the self-effacing haute couture designer Raf Simons who took over House of Dior in 2012 -- neither the social justice advocates nor the rock aficionados nor a former costumier saw any of the three. Back to Barnes and Cieply's NYT article: "[I]f [audiences] keep behaving that way [i.e., going big or staying home], 2015 may set new marks for both hits and misses — while leaving a hole in the middle, where Oscars are typically born." That Oscars often go to "the middle" is proof the Academy rarely has an interest in recognizing quality and depth. A look at the winners of the first decade of the 21st century reveals some powerful and deserving pictures such as The Hurt Locker and No Country for Old Men, but it also turns up The King's Speech, Slumdog Millionaire, The Lord of the Rings: The Return of the King, A Beautiful Mind and -- really?! -- Gladiator. (I'm looking at the lists and the runners-up aren't that noteworthy either.) Going further back: Shakespeare in Love, Titanic (aaarrrggghhh...), Braveheart, Forrest Gump, Dances with Wolves, Driving Miss Daisy.... I'll stop there. With the exception of Titanic, none of these are bad movies, but they are not films that should be on anyone's 100 best cinematic achievements list. "[I]n both [September and October]," Barnes and Cieply continue, "high-profile, midrange films that were being closely monitored as awards prospects flopped — among them Sony’s The Walk, Universal’s Steve Jobs and Warner’s Our Brand Is Crisis." Now, I saw all three of these films, and to think that any one of them is being considered an "awards prospect" is depressing. I liked (the vertiginous) The Walk, but John Marsh's 2008 documentary Man on Wire is infinitely better. Unlike Steve Jobs devotees who felt the actor was miscast, I thought Michael Fassbender was terrific -- as was Kate Winslet, by the way -- and I would have no qualms with accolades for their performances or for Aaron Sorkin's script for that matter or for sound mixing or some such, but in no way should Danny Boyle's film be in the running for Best Picture. On the other hand, Our Brand Is Crisis is a shallow, cynical mess that manages to side-step any ethical considerations its story might pose and should not be considered for Anything. At All. Ever. So what does interest the Academy? Barnes and Cieply's next paragraph reflects the Academy's criteria, noting the Bond franchise's opening weekend take for Spectre, "the most expensive 007 installment ever, costing Sony Pictures Entertainment, Metro-Goldwyn-Mayer and Eon Productions roughly $400 million to make and market," (Does this strike anyone other than me as obscene?) was "down sharply" from 2012's Skyfall, though it took in "an additional $223 million overseas, breaking records." The October box office "belonged to The Martian," according to Barnes and Cieply, whereas September had been driven by Hotel Transylvania 2...." I can see the appeal of The Martian -- I know I had fun -- but Hotel Transylvania 2? This brings me back to my "no-good-movies-anymore" opinionators and the blame I cast on them for the sad state of contemporary cinema. 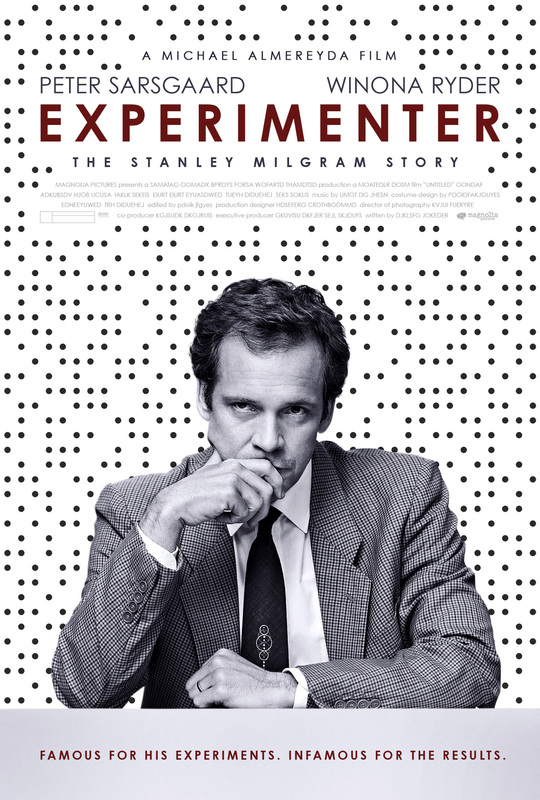 The little old lady at the soirée chewing my ear probably took her grandchildren to Hotel Transylvania 2 but did not see Jimmy's Hall, Sicario, Black Mass, Experimenter, Beasts of No Nation, 99 Homes or Freeheld (the latter two being a double opportunity to see Michael Shannon performances), all of which were right here in River City concurrent with Hotel Transylvania 2's duration. I admit to a warm feeling of schadenfreude learning that the "more commercially oriented" Pan, Rock the Kasbah, The Last Witch Hunter, Jem and the Holograms and Scouts Guide to the Zombie Apocalypse (none of which I saw) were "wipeouts" at the box office. That said in 2015, tons and tons and tons of people went to Jurassic World, The Avengers: Age of Ultron, Furious 7, Mission Impossible: Rogue Nation and the aforementioned Hotel Transylvania 2 (also none of which I saw) and then walk around saying, "There just aren't any good movies anymore." Coming up on December, the odds are a wee bit better that a few "no-good-movies-anymore" people will go to The Danish Girl, Macbeth, Legend, Carol, Youth, Brooklyn, Room, Spotlight, Son of Saul, or The Revenant -- not to mention the foreign films and documentaries that even this late in the calendar have been held back from us. Ah, heck, that's just pie in the sky. I count on you for film recs. You advertising budget is lower but the results are better.is that last paragraph recs? I'm worried I am confusing snark with seriousness. The Danish Girl, Macbeth, Legend, Carol, Youth, Brooklyn, Room, Spotlight, Son of Saul, and The Revenant are indeed recommendations.